CAMRA has been waving the banner for quality real ales for four decades, but if you think it’s just about enthusiastic hop-heads getting together for a beer festival booze up, then think again. The Campaign has challenged European rulings on beer monopolies, helps keep quality standards high, and pretty much saved the craft ale industry from dwindling into insignificance. Read on for a quick overview of the Campaign for Real Ale. It was during 1971 when four drinking buddies – Jim Makin, Bill Mellor, Michael Hardman and Graham Lees – decided that they’d had enough of pubs being overrun by bland corporate beers at the expense of better tasting traditionally made ale. They formed the Campaign for the Revitalisation of Ale and other supporters of quality beer soon joined their campaign. And their ranks continued to swell, thanks in part to some supportive articles in The Guardian newspaper. Two years after forming, CAMRA changed the meaning of its name to the easier-to-remember Campaign for Real Ale (Real Ale being a term coined by the organisation for beers made using age-old methods rather than the mass-produced, insipid beers made by the big breweries). Methods used by CAMRA to get Britain to again embrace real ale included: organising beer festivals around the country; throwing support behind ales and ciders that had become endangered species; and publishing knowledgeable and compelling books and guides on domestic ales and our great British beer culture. But perhaps most importantly, the Campaign challenged and succeeded in loosening the grip the big breweries held over our pubs, which meant more choice, improved quality beer, and better value for money at the pumps for consumers. Another of CAMRA’s successful campaign methods is its use of beer festivals to celebrate our country’s rich beer culture. Regional campaign groups organise beer events at a local level, whilst on a national level, the Great British Beer Festival takes place annually. This massive celebration of real ale and cider from all around the world is held in London, with this year’s event taking place at the massive Earl’s Court exhibition hall. To help ensure that standards are maintained, CAMRA recognises and awards the year’s best ales. Champion Beer of Britain is the top award and the winner is announced at the Great British Beer Festival. Other awards include Champion Beer of Scotland, Champion Beer of Wales and National Pub of the Year. Another way that continued high standards are encouraged is the National Beer Scoring Scheme, whereby people can rate the quality of a particular beer in a particular pub. So, by safeguarding our domestic beer culture, CAMRA has proved a major force in preventing the demise of traditionally brewed ale. The Campaign now boasts 120,000 beer-loving members, and thanks to the current healthy state of real ale production, they should be able to look forward to great locally-made beers for many years to come. Finally, real ales tastes great, but to ensure that they keep their fine taste, licensees must maintain clean beer lines within their premises. One great way of doing so is to fit an automated line cleaning system. CellarBright’s line cleaning systems are found in pubs, bars, clubs, hotels and restaurants nationwide, and they help to keep ales, lagers and ciders tasting fresh, with minimum cost and fuss. CellarBright is an excellent automated beer line cleaning system which can save thousands of pounds a year for companies selling keg, cask beer and lager. It minimises waste by letting the beer that’s in the lines be drawn off and sold before cleaning commences, allowing you to sell 100% of the beer that you’ve paid for. 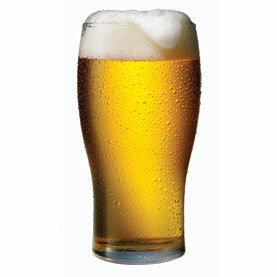 A beer profit calculator on our website let you see how much you can save.